• Features high-density foam covered in ”tuff” vinyl •ColorOptions:Blue,Green,Orange,Purple,Red,Yellow. • Perfect for training and recreational play • Weighs about 10 oz. All SKILLASTICSTM products AVAILABLE in our fitness section! 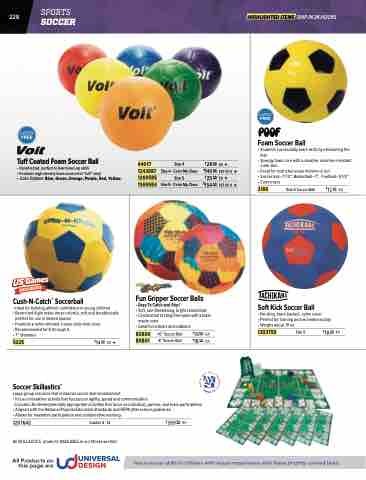 Teach soccer skills to children with visual impairments with these brightly colored balls!